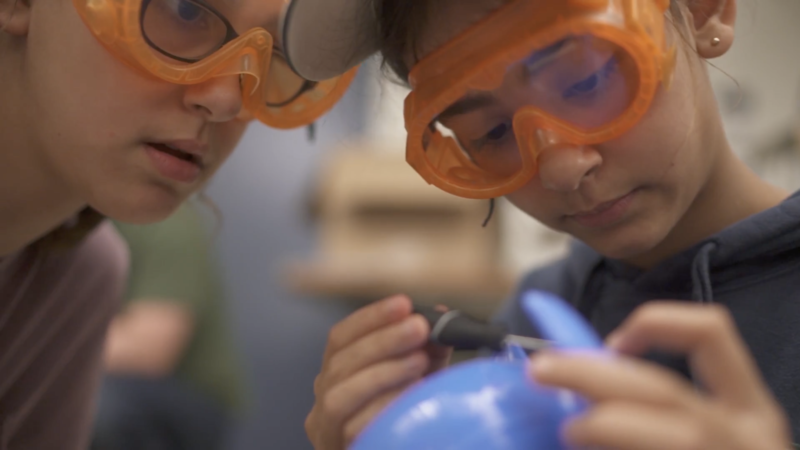 Middle School girls at Laurel learn by doing, love choice and rise to creative challenges. You need only step into the North Wing of our Lyman Campus building to sense the bustling energy of budding scientists, artists, engineers, writers and thinkers diving deep into their learning. The Middle School experience at Laurel is based on the work of our Center for Research on Girls on how girls learn best. Experiential learning balances time-honored traditions, and strategies are tailored to each girl as she finds and develops her voice. They create and conduct experiments in science, they build and draw models to visualize concepts in math, they memorize and act out scenes from Shakespearean plays, and they investigate and debate constitutional issues.